Since there is occasional interest here in traditional jazz I thought I would bring this forward. I have engagements with a few of my groups this weekend in the Biloxi - Gulfport area. My trio is playing a convention at the Beau Rivage Casino early Friday & Sunday and filling in the holes at a jazz club in Gulfport. The convention is closed but the jazz club is open to the public. 13 Street Jazz Bistro in Gulfport will have our group Friday & Saturday night from 8:30pm-11:30pm. 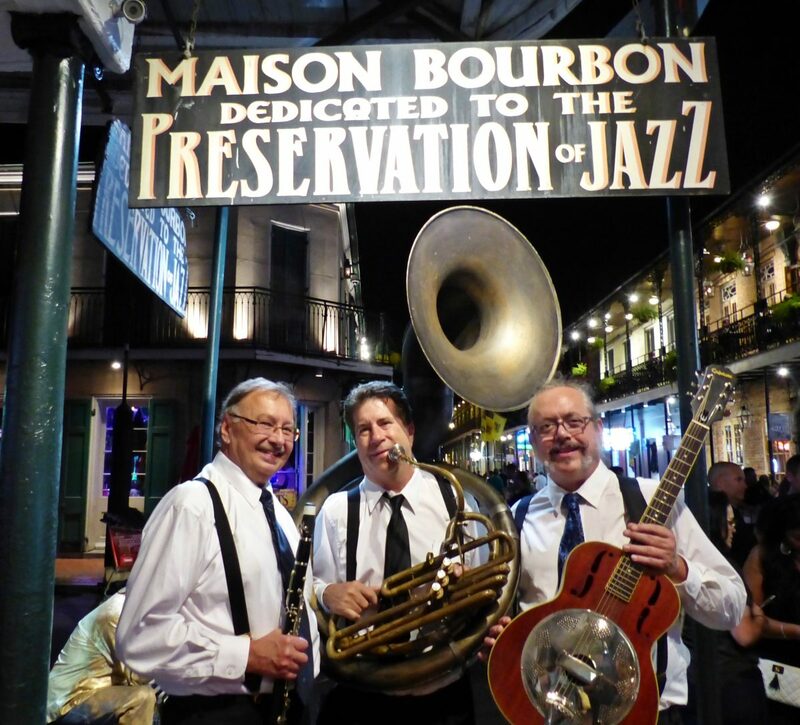 The music will be swing and traditional New Orleans jazz. The trio instrumentation is guitar/vocal, clarinet/sax, tuba/upright bass. I have been playing upright and electric bass in pop & jazz settings for the bulk of my career and the tuba has certainly been an active double. I can fairly say my concept of tuba playing in a jazz ensemble has been shaped and evolved from my professional career as a jazz bassist. We put this group together when the Brennan family brought Commander's Palace to Destin in 2007. Played the Sunday Jazz Brunch 3 years straight til the oil spill ruined the business. The group has been working ever since and it one of my favorite gigs. A strolling for sure! If you're in the area, come on by and enjoy hearing some cool sounds. I’ve heard them. First rate!